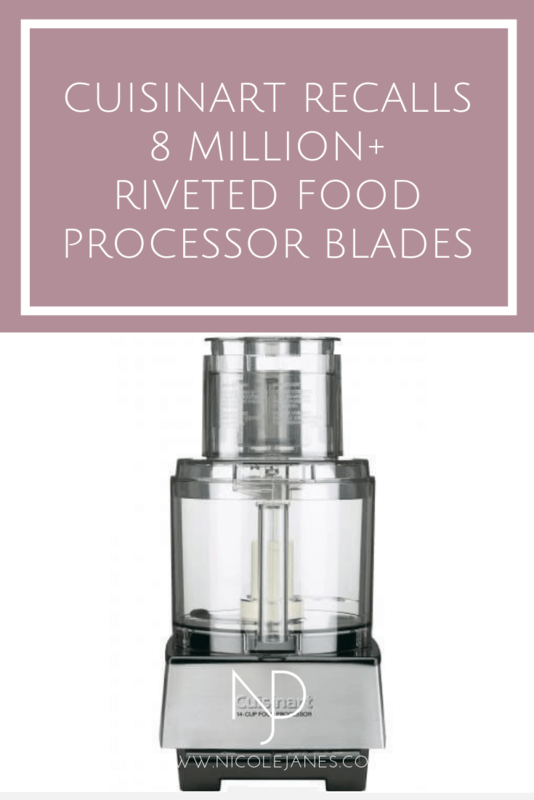 On December 8, 2016, Cuisinart voluntarily recalled 8 million + Riveted Blades found in their Food Processors due to a Laceration Hazard. Cuisinart received several consumer reports of cracks found in the riveted blades after long term use. Small metal pieces of the blade can break off into the processed food. There have been 69 reports of consumers finding broken pieces of the blade in processed food, including 30 reports of mouth lacerations or tooth injuries. The affected blades have four rivets and are silver-colored stainless steel with a beige plastic center hub. Only food processors with four rivets in the blades are included in this recall. If your blade has rivets, check the Model or Series number located on the lower, right corner of the front panel of the food processor packaging and on the bottom of the food processor unit. If the number starts with any of the model numbers listed above, stop using the riveted blade immediately. Call Customer Service or register online to receive a free replacement blade. 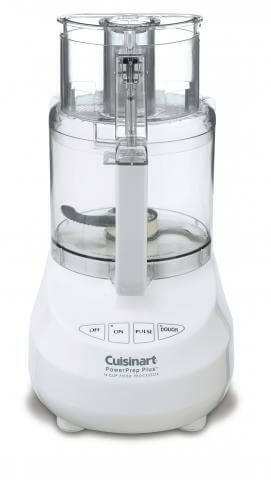 To confirm your blade is included in the recall, visit the Cuisinart Recall website. You can find the Recall Form and Press Release here.